SOME IDEAS JUST DON'T HAPPEN. so HERE ARE SOME OF OUR FAVOURITES THAT WERE CLOSE BUT NOt quite. 1937 photo of the now derelict British Museum underground station in London. Working with UK anti human trafficking and modern day slavery campaign groups we created the concept for an out-of-home marketing and communications experience on the London Underground, to coincide with the launch of a new national service. We secured the backing of key stakeholders within the sector, the creative expertise of world renowned artist and print-maker, Anthony Burrill and the interest of London Underground. The concept saw Anthony making an 8 foot high installation on the walls of the, now abandoned, British Museum underground station. The bold print would surprise and engage commuters on the Central Line who ordinarily would not know the station existed. The site-specific art installation, complemented by clever uses of technology and social media strategy did not happen due to the timing of the launch and unexpected operational barriers. 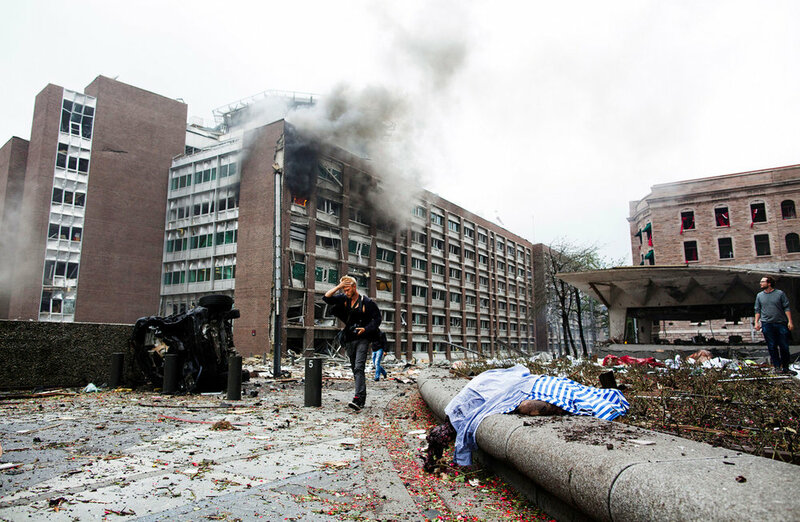 Aftermath of the 2011 attack in Oslo, Norway. Creative spec for YESMUTHA's proposed arrangements for the 2011 Christmas Tree lights in Trafalgar Square. The Trafalgar Square christmas tree has been donated to London from the city of Oslo since 1947 in gratitude of British support for Norway during World War II. In addition to being a focal point for the capital's seasonal celebrations, the tree is also a symbol of diplomatic relations between the UK and Norway; of gratitude and remembrance. Following the 2011 attacks in Oslo and Utøya Island where 77 people lost their lives, we proposed to the relevant embassies and the Greater London Authority, that the UK symbolise gratitude and remembrance in a show of solidarity with Norway. We pitched the removal of a central section of branches from the tree and that the space be filled with 77 additional Christmas lights to symbolise those who lost their lives in the deadliest attack on Norweigen soil since World War II. Despite initial interest from some of the concerned parties, yesmutha were not granted a meeting with the greater london authority to discuss the concept further. 2011 copies of Rupert Murdoch's full page apology for the Daily Mail and News Interational's phone hacking scandal. In 2011, Rupert Murdoch, The Daily Mail and News International were embroiled in the high profile phone-hacking scandal. The scandal and enquiry dominated the UK press, meaning that other items of global news were failing to make an impression on the wider public consciousness, including the growing drought and crisis in East Africa and the DEC appeal to raise funds for it. 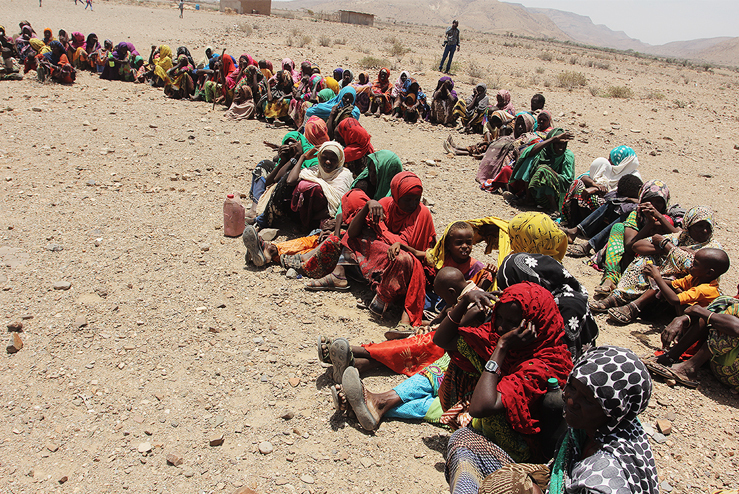 The worst drought in the region for 60 years killed an estimated 50,000 - 260,000 people and tangibly affected the livelihoods of over 9.5 million people. When Rupert Murdoch bought a full page print advert in every UK paper, with a signed apology, we created a concept to interrupt and subvert the news cycle; printing a near identical advert in every UK paper exactly one week later; apologising to the people of East Africa that the UK had been distracted by other news stories and pointing people to donate to the DEC appeal. We received sign off from investors, national papers, the Disasters Emergency Committee and the Advertising Standards Authority within three days. The Advert did not run because we were required to secure an ngo or charity to put their name and logo to it. despite interest from directors, the proposal was turned down by the boards of two international DEVELOPMENT agencies.